SHANGHAI, Dec 15 (Reuters) – Hong Kong stocks slumped on Thursday morning along with other Asian markets, after the U.S. Federal Reserve raised interest rates and signalled a faster-than-expected pace of policy tightening, reducing the appeal of emerging market assets. Chinese shares, with less exposure to global market volatility due to strict capital controls, dropped less sharply, although the banking sector skidded amid fears a dramatic sell-off in the bond market could hurt lenders’ balance sheets. 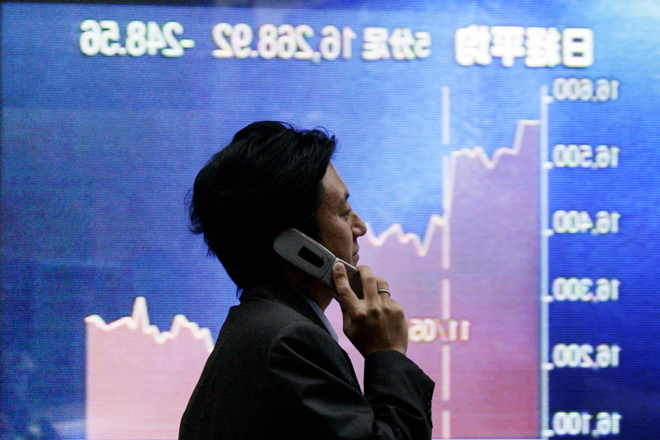 Hong Kong’s Hang Seng index lost 1.6 percent, to 22,088.86 points, by 0248 GMT. If the index closes at this level, it would be a four-month low. Markets had all but priced in a quarter-point rate increase by the Fed, but investors were spooked after the U.S. central bank projected three hikes next year, up from two previously, indicating a more aggressive tightening path. The Hong Kong Monetary Authority on Thursday followed suit, raising the city’s base rate by 25 basis points. All sectors in the city lost ground, with the rate-sensitive property sector leading the decline. The energy sector also plunged more than 2 percent in line with sliding oil prices overnight. In China, the CSI300 index fell 0.5 percent to 3,363.05 points, while the Shanghai Composite Index lost 0.3 percent to 3,131.27 points. “The Fed’s rate hike, rumours about some problems in the bond markets, along with the stock market’s recent downward trend, all added to today’s loss,” said Zhang Qi, a Shanghai-based analyst with Haitong Securities. Banking stocks tumbled more than 2 percent amid an accelerated sell-off in China’s bond market.